Are You Currently Charged With DUI? If so, you are facing a mandatory jail sentence, mandatory fines, court costs and a loss of your driver’s license. You need and deserve an attorney who can give you the best chance of winning your case and/or avoiding jail time. Pittsburgh DUI Attorney Robert E. Mielnicki has over 25 years of experience representing individuals charged with DUI throughout Western Pennsylvania. The mere fact, however, that you are charged with DUI does not mean that you are guilty or will be convicted. This is true whether or not this is your first, second, third or fourth offense, but this is particularly true if this is your first offense. The Law Office of Robert E. Mielnicki has represented more than 1000 clients charged with DUI. 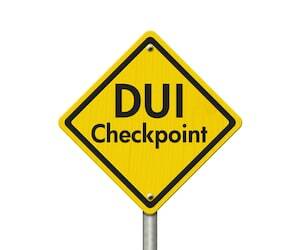 Pittsburgh DUI Attorney Robert E. Mielnicki has secured acquittals/dismissals/withdrawals of DUI charges for clients in Allegheny County, Armstrong County, Beaver County, Butler County, Clarion County, Elk County, Jefferson County, Lancaster County, Mercer County, Washington County, Westmoreland County and Venango County. In 2016, the United States Supreme Court decided Birchfield v. North Dakota, which held that one cannot be punished for refusing to provide a sample of his blood for testing, in the absence of a warrant and that one cannot be deemed to have voluntarily consented to a blood draw, when threatened with enhanced punishment for refusing to provide such. Pittsburgh Criminal Attorney Robert E. Mielnicki, has been advancing this argument since 2014! Commonwealth v Evans, 153 A.3d 323 (Pa.Super. 2016) and Commonwealth v Carley, 2017 WL 1476309 (Pa.Super. 2017). Pennsylvania has a three-tier system for prosecuting and punishing those who have committed a DUI. First DUI (General Impairment or BAC < .10) – Ungraded misdemeanor, punishable by no jail time, up to 6 months of probation, a fine of $30, alcohol safety school, and treatment. First DUI with BAC between 0.10 and 0.159 percent – Ungraded misdemeanor, punishable by between two days and six months in prison, a fine up to $5,000, a one-year license suspension, alcohol safety school, and treatment. First DUI with BAC of 0.16 percent or higher – Ungraded misdemeanor, punishable by between three days to six months in jail, a fine up to $5,000, 1-year license suspension, alcohol safety school, and treatment. Second DUI (General Impairment or BAC < .10) – Ungraded misdemeanor, punishable by five days to six months in jail, a fine up to $2,500, a one-year license suspension, one-year ignition interlock device (IID) installation on your vehicle, alcohol safety school, and treatment. Second DUI with BAC between 0.10 and 0.159 percent – Ungraded misdemeanor, punishable by thirty days to six months in jail, a fine up to $5,000, a one-year license suspension, one year of an IID on your vehicle, alcohol safety school, and treatment. Second DUI with BAC of 0.16 percent or higher – Ungraded misdemeanor, punishable by between ninety days and five years in jail, fines up to $10,000, 18-month license suspension, one-year IID installation, alcohol safety school, and treatment. Third DUI (General Impairment or BAC < .10) – Second-degree misdemeanor, punishable by between ten days and two years in jail, a fine up to $5,000, a one-year license suspension, one-year IID installation, alcohol safety school, and treatment. Third DUI with BAC between 0.10 and 0.159 percent – First-degree misdemeanor, punishable by between ninety days and five years in jail, a fine up to $10,000, 18-month license suspension, one year of an IID on your vehicle, alcohol safety school, and treatment. Third DUI with BAC of 0.16 percent or higher – First-degree misdemeanor, punishable by one to five years in prison, a fine up to $10,000, an 18-month license suspension, a one-year IID installation, alcohol safety school, and treatment. Effective December 24, 2018, a fourth DUI offense or a DUI offense committed by one who has previously been convicted of Homicide by Vehicle while DUI, shall be graded as a felony of the third-degree. If you have been charged with any level of DUI in Pennsylvania, call us to speak with a Pittsburgh DUI Lawyer about all of the possible effects of a DUI conviction. If you are convicted of a DUI graded as a misdemeanor of the first degree, or a felony of the third degree, you will lose your right to possess firearms. This is one of many reasons to hire an experienced DUI attorney like Pittsburgh DUI Attorney Robert E. Mielnicki. There is a push to legalize marijuana in Pennsylvania. Pittsburgh DUI Attorney Robert E. Mielnicki supports that, but marijuana is not legal in Pennsylvania. Moreover, many Pennsylvania residents now have lawful prescriptions for medical marijuana. It is important to note that, even if you have a valid prescription for medical marijuana, you cannot drive with traces of THC in your blood. Even if marijuana is legalized in Pennsylvania, the current DUI law will punish those who drive with almost any level of THC in the blood. 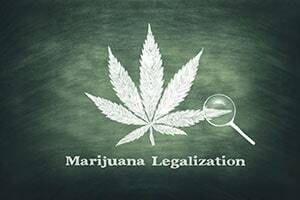 The Law Office of Robert E. Mielnicki asks everyone, whether their clients or not, to be careful in how they use marijuana, legal or otherwise. The 2004 amendments to Pennsylvania’s DUI Laws provided somewhat more lenient treatment for first time offenders. Overall, Pennsylvania’s new DUI Laws provided harsher penalties for all but first-time offenders and made it much tougher for a person charged with DUI to win their case. For instance, the Commonwealth no longer has to prove that a person’s blood alcohol content was above the legal limit at the time of driving. The Commonwealth merely has to prove that a breath or blood sample obtained within two hours of driving was above the legal limit. For individuals charged with DUI, based upon the ingestion of non-prescribed and some prescribed controlled substances, the Commonwealth does not have to prove that the person’s driving was actually affected by the drugs at the time of driving. Moreover, individuals charged with a first offense do not get a jury trial and only those individuals charged with a second offense whose BAC (blood alcohol content) is alleged to be above.16, are accused of ingesting controlled substances prior to driving or refused chemical testing, get a jury trial. Most successful defenses, but not all, to a DUI charge after the 2004 amendments, are based on legal arguments (validity of stop, inability to prove the breath or blood sample was obtained within two hours of driving, inaccuracy of breath testing device, validity of warnings provided at the time the breath or blood sample was requested and several others). Pittsburgh DU Attorney Robert E. Mielnicki has taught classes on “DUI Strategies” and is a respected appellate lawyer, having argued before the Pennsylvania Superior Court, Pennsylvania Commonwealth Court, the Pennsylvania Supreme Court and the United States Third Circuit Court of Appeals. He is licensed to practice before the United States Supreme Court. "My son was in a car accident in PA, which led to him being arrested. I live in South GA, so I searched the internet and talked by phone to numerous attorneys in the area of my son's residence. Mr. Mielnicki was straight forward with me concerning the possible outcomes of my son's charges. At the same time, he was able to ease my mind. He was the ONLY attorney that agreed to go visit my son while he was incarcerated (he actually volunteered to do this...on a SATURDAY!). Unable to be in the area to support my son, Mr. Mielnicki understood my frazzled state of mind and his patience with my phone calls and texts was a clear showing of his many years of experience. In the end, he was able to get four felonies dropped, several misdemeanors dropped, and a detainer lifted. I would definitely recommend Mr. Mielnicki for anyone needing an attorney in the Pittsburgh area. He listens to you and focuses on obtaining the outcome you request." "After 48 years, virtually spotless record, I find myself looking for an attorney on a DUI charge. I was referred to Robert Mielnicki from a friend of mine. Robert was very thorough and professional and very reasonably priced. I would certainly recommend him. You will definitely be satisfied with him and the results." "Bob is an incredible attorney. I sought his counsel in 2014 for a third DUI offense in Washington County, PA. I spoke with several attorneys and after speaking with Bob I knew I had found the right guy. He kept me informed from start to finish and was able to strike a very favorable deal with the DA handling my case which kept me out of jail."